The Jaguar Land Rover company recently released year-end 2013 sales numbers and we are very impressed! Jaguar Land Rover North America announced a huge growth in December 2013 sales, both nationally and internationally, setting records for the entire brand. Jaguar Land Rover set new 2013 record sales with an increase in 15% of sales, over 50,000 units sold, ending last year as one of the fastest growing automotive brands in our country. A few months ago, Land Rover had its best month of sales in history, with an increase in 11% of sales due to the popularity of the incredible Range Rover Evoque. Click here to view our Range Rover inventory. On top of a great year of sales, Jaguar Land Rover was named with several new awards! The Range Rover Sport was named the 2014 Four Wheeler of the Year by Four Wheeler magazine, the Range Rover Autobiography was named Robb Report’s Best of the Best winner of the Sport Utility Vehicle category and more! 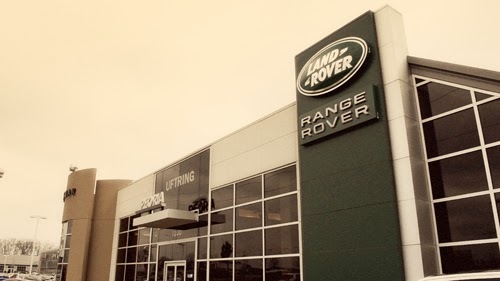 It’s been a great start to 2014 here at Jaguar Land Rover Peoria and each day we’re excited to serve you and help you find that Jaguar or Land Rover that fits you best. We’d love a visit from you, or a call to your favorite JaguarLand Rover sales consultant. If you’re too busy to stop by to see our inventory for yourself, our entire Jaguar and Land Rover new and pre-owned inventory can be found here. Shop online first!